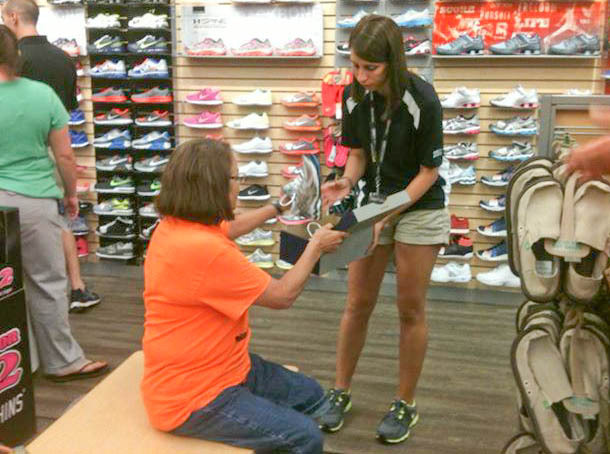 Local Jackson County shoe stores gave Moovin’ and Groovin’ members special discounts on walking and running shoes. A project can grow into a group. 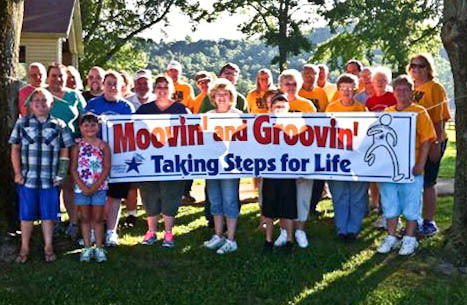 In summer 2013, the Jackson County Health Department got a grant to do a healthy lifestyles project called Moovin’ and Groovin. “The idea was to make it fun and just get people going,” said Wendy Crawford, Health Department nurse. They ended up with 700 people. “It was fun, so people wanted to come,” Crawford said. “That’s how we kept it going.” They had children’s events, Senior Citizen hula hoop events, sack races, etc. “People could actually save money by it too,” Crawford said. Members got a Moovin’ and Groovin’ card that got them discounts at some local merchants, including a local shoe store that gave discounts on running shoes.“It was such a success, we decided to keep it going,” Crawford said. See https://www.facebook.com/JacksonCountyMoovinandGroovin . Some groups are created intentionally. 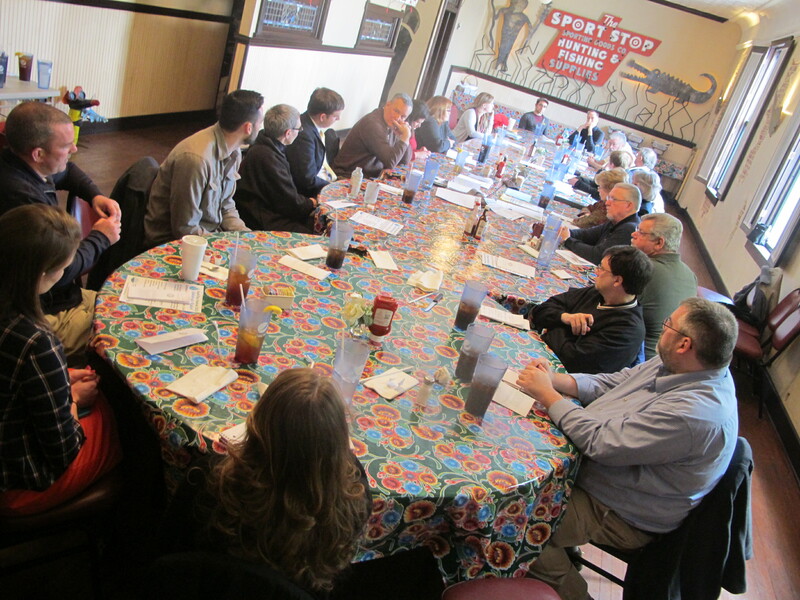 In summer 2013, Braxton County school officials, county commissioners, mayors, health department employees and community group members started meeting. They intend to bring down their high chronic disease / obesity rate by creating projects that make it easier for residents to live a healthy lifestyle. 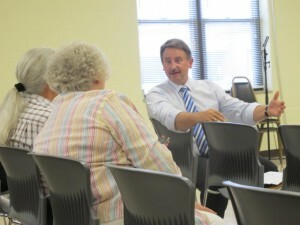 Ultimately, they want to promote Braxton County as a healthy place to live. They named themselves Mission Braxton. First, they listed assets: existing healthy activities, trails, facilities, gorgeous natural beauty. Then they started meeting monthly, in a different town each time. “Some towns formed their own groups, some haven’t yet,” group member Jennifer McPherson said. Four months later, the Sutton group had started a farmers market, located community garden space, purchased bike racks, installed river kiosks, marked walking trails through town, gotten a grant for a new trail, mapped their trails, held yoga, toning classes, and Friday night music and dance in the community building, and sparked a healthy cooking class at the middle school and recycling at the grade schools. “We’re talking about a spring Outdoors Festival, with a triathalon, biking and Muskie fishing,” said Mayor J.L. Campbell. Find the right person or people to be the ball roller, somebody who has the influence and/or determination to pull people together. 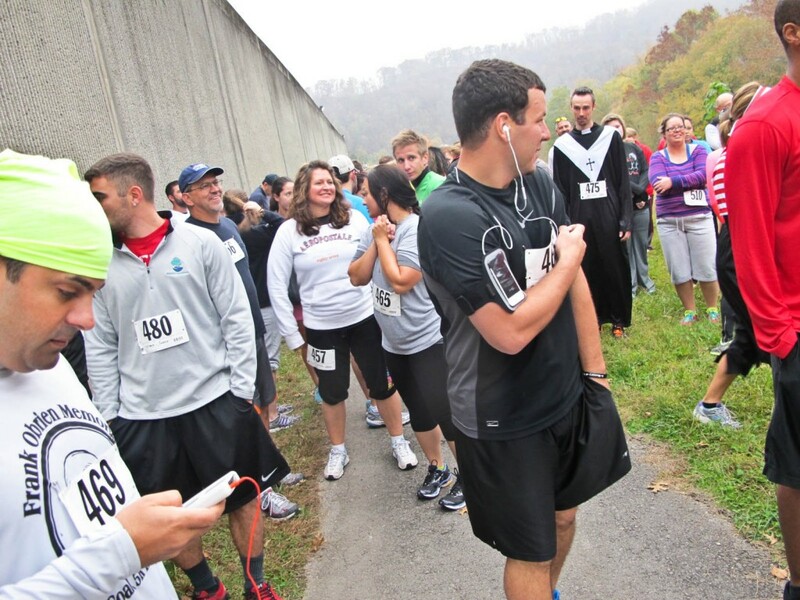 For instance, Parkersburg’s River City Runners and Walkers has been run by about 18 volunteers for years. Buckhannon’s Create Buckhannon is facilitated by a restaurant owner. Read about community conversations (See Try This community conversation page). Decide whether your group will be a conversation group where people come and go and all ideas are discussed or a purposeful community group with a specific agenda. Try to involve people from a wide variety of groups and people who are in no group, volunteers as well as people with power to commit resources. Retired people and agency people. You want both involved. Aim for a mix. Involve food whenever you can. Healthy food at meetings helps. It creates a comfortable atmosphere for talking. An easy way to do it: Meet at a restaurant. Ask if they’ll fix group casseroles and offer low-cost group food for your meetings. Give your group a meaningful name or a catchy name so you can be credited for what you do. You need to get your name out there to attract new people. That’s important for growth. Even if the group is housed at an agency, it needs a name that says something people can identify with: Create Buckhannon, Mission Braxton, Moovin’ and Groovin’. Inventory your assets, what already exists. Recognize and applaud what people have already done. Make them feel appreciated. Any grant organization will expect you to have done an inventory, to prove you’re not reinventing the wheel. Make it fun and/or interesting! Include fun as often as possible. Put someone in charge of it. Think about it. What information do people want? Good speakers draw people. Pick first projects that are easy and visible, such as planting trees or litter cleanup. Create a walking challenge, bike ride series, a hula hoop tournament. Plant trees in places where people will see and enjoy them. “It’s important to get a reputation as a group that gets things done,” Buckhannon’s C.J. Rylands said. Don’t lose a chance to praise each other and the overall effort. Volunteers are working for nothing. They can quit anytime. If they feel appreciated, they’re less likely to do that. Make sure their names are in the newspaper articles. Meet regularly so you don’t lose momentum. Many groups meet monthly. Others think it’s important to meet more often. Consider starting a weekly lunchtime community conversation at a local restaurant. Food helps. Keep it open to all and let the agenda include whatever people want to bring up. Read the community conversation page. When a new project is proposed, take it one step at a time. Identify first steps, see who’s willing to take them and set a date for them to report back to the group. Often the first step is research on what needs to happen. The Try This site can help with that. Then ID the next step, see who’s willing to do it, and keep cycling that way. Agree on things people will do between meetings and set report-back dates. Make the steps small enough to accomplish in a week or two and make the report-back date reasonably soon. If somebody wants to work on a project, let them, if the group doesn’t object to the project, especially if they can find two or three others who want to work on it with them, Set goals and dates for them to report back to the group. 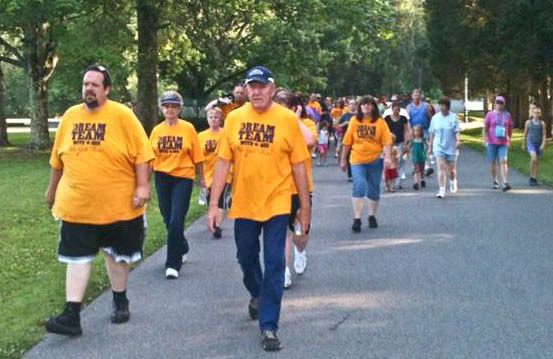 The Healthy Clendenin group has done a walkability inventory of the town and is raising money for a new park. 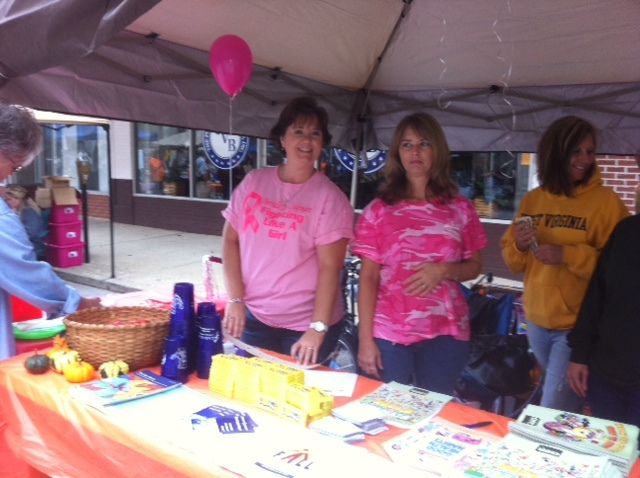 Photo courtesy Healthy Clendenin. Designate a person to be the ball-roller, if you can, to touch base with people between meetings, to encourage and remind them. Get your name out there. This is an important way to attract people. Put anything you do in the media (commercial or social), attached to your group name, advises Ronceverte’s town planner, Doug Hylton. Build a good reputation. If you’re planning a park, solicit a newspaper article about your plans, inviting people to join in. Put pictures of whatever you do on your facebook page. In many small communities, you can write an article yourself and the newspaper will put it in, especially if you have a good picture. Make whatever you do visible to the public however you can. Create a sense of momentum.Part of your job is to convince people that change is possible and enjoyable. When Mingo’s running group started offering daily runs, they planned their routes through areas where people would see them walking and running, consciously making it part of the local scene. Use social media. Create a facebook page, a listserv, a conversation group. Take pictures of every event or activity and put them on facebook. Tweet them. Be sure to use your group name. If you have a meeting, send out minutes and praise people who came. Go through the Try This process. The Try This site will help you identify and research projects. Print out the worksheet and pick one or two easy-to-do projects that will give you quick, visible, fun success. 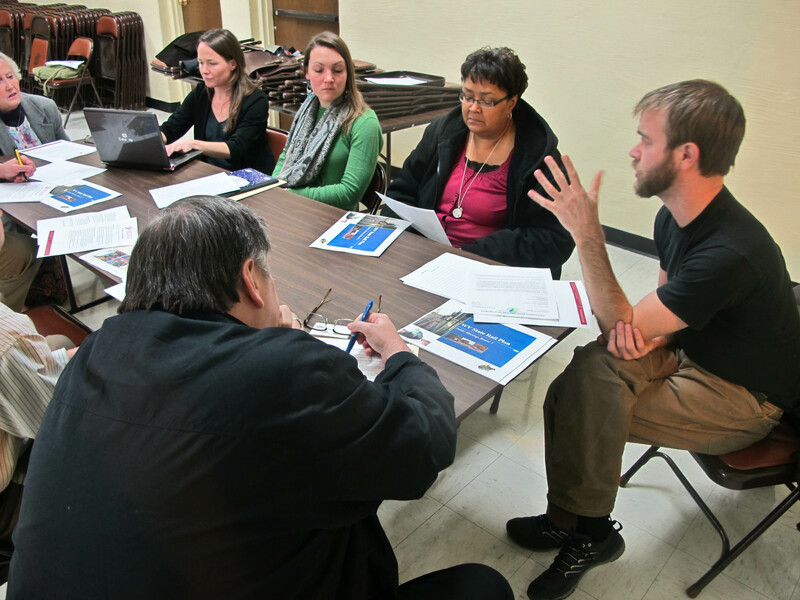 Apply for a VISTA or Americorps worker if you can. But don’t turn the group over to them. They should be helping carry out what the group wants, not directing the group. Remember, they’ll be gone. Recruit people who have not yet come to your group meetings, but are interested in your goals. Think beyond people who belong to organizations. Who likes to run? Who bikes? Think of ways to build on what’s already happening. If the community already runs a successful 5K to attract tourists, is there a way to organize regular runs and walks for community residents, so they have a structure to develop a habit? Start looking at what other communities have done. What can you learn or borrow from them? You will find many examples in the Try This pages. Aim to involve people who are ready to make positive change. Don’t be discouraged by people who don’t want to change. Let that be OK. If they see others enjoying themselves and accomplishing things, some will want to join in. Expect some opposition. No matter what the change is, there are almost always people who don’t want things to change. Keep coming back to the Try This list for ideas and resources. Be patient. This will take time to build. Be in it for the long haul. Celebrate milestones. If you have a success, celebrate it in some fun way. Expect it to take time to build. That’s normal. “Making the Healthy Choice: A Guide to Community Discussions.” This little guide can be really helpful when you’re getting started. 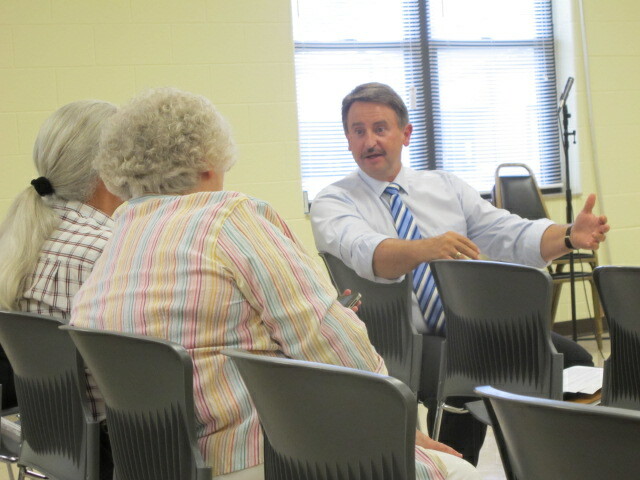 The Mid-Ohio Health Department had it put together for “healthy county” discussions in their six counties. http://www.ctfwvresources.com/docs/Making-the-Healthy-Choice.pdf. Related Try This pages: Start a community conversation, fitness = economic development, healthy local food = economic development. Have something to add? Write it in “comments” below. Add your contact info, in case we have questions.